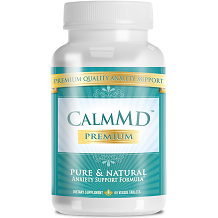 Amazing Herbal Remedies: Anxiety and Depression Supplement is a natural supplement that has the ability to help people regain their mental and physical well-being when life sometimes feels like it spins out of control. As much as people like to feel like they are in control of their lives, sometimes life sends a reminder that one should always expect the unexpected. There are so many things that pull people in several directions at once that it is easy to feel stretched too thin. Often the result of trying times has a tendency to leave people feeling stressed with no way out and it is not uncommon for depression to set in which compounds the problems even further. People who continuously are exposed to high levels of anxiety run the risk of other serious health conditions which include muscle spasms, lack of concentration and mental acuity, high blood pressure, rapid weight loss or weight gain, chest pain, and sleeping disorders. Luckily, help is available in the form of natural anxiety medications like Amazing Herbal Remedies – Anxiety and Depression Supplement which helps to relieve symptoms caused by relieve mild to moderate anxiety and depression. The suggested dosage of this supplement is one capsule daily, to be taken with a glass of milk to prevent stomach upset. One bottle of this dietary supplement contains 30 capsules, which is enough for a full month’s supply. The price of one bottle costs $33.00. The company does not have any money-back guarantees that they offer the customer if they feel dissatisfied with the quality or effectiveness of Amazing Herbal Remedies – Anxiety and Depression. Finding relief from symptoms brought on by anxiety and depression does not have to include spending exorbitant amounts of money on doctors and prescriptions that may come with a host of different side effects. Prescription medications are also not usually fast-acting remedies as many require being present in the body for a number of weeks to accumulate to a level that is high enough to relieve the symptoms of stress and anxiety. If you are feeling depressed or anxious, you may want to try Amazing Herbal Remedies – Anxiety and Depression Supplement, although there are no reviews from customers that attest to the efficacy of this product. This natural supplement can offer quick relief and does not include harsh chemical compounds that may have adverse effects on your body.